A fresh batch of Oven Caramel Corn is ready for devouring. 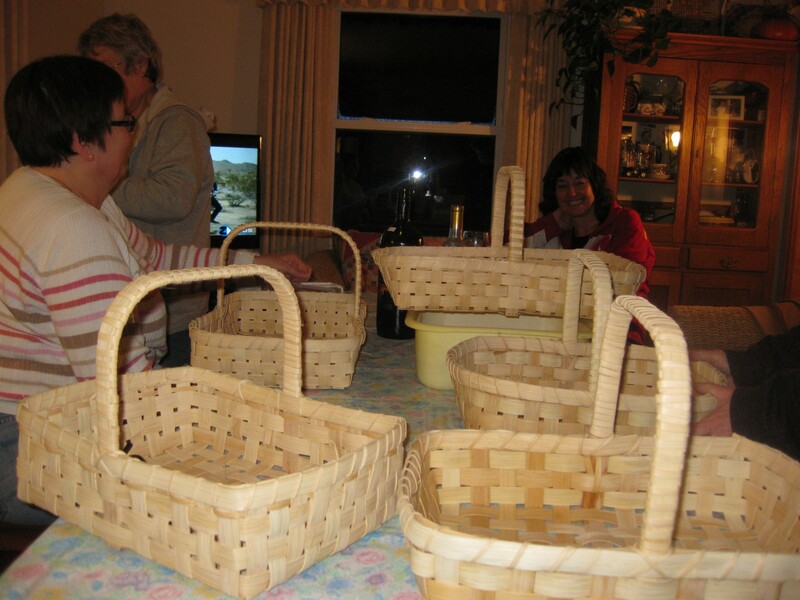 Amil’s Inn has many favorite recipes to share with our guests throughout the year. 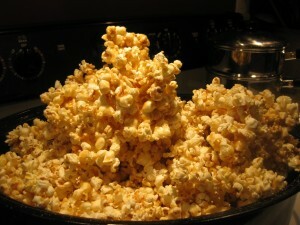 One of our favorites for the Christmas season is Oven Caramel Corn. In fact the “cookie” jar becomes a “caramel corn” jar. This recipe has been a family favorite for years. Cook brown sugar, butter, syrup, and salt for 5 minutes (If you want a more chewy caramel corn, cook less than 5 minutes). 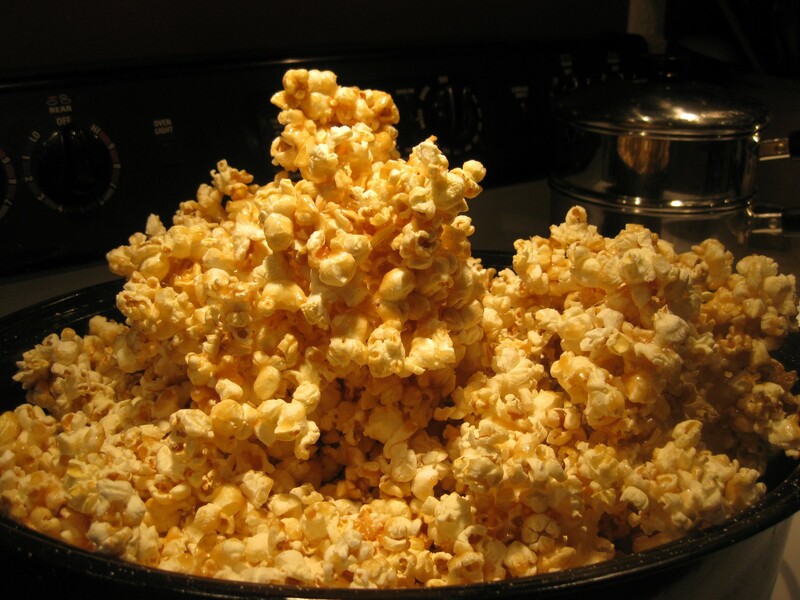 Remove from stove, add baking soda, and add to popped corn. Put in large roaster or dutch oven and bake at 200 degrees for 30 minutes. Stir every 15 minutes. Remove from oven and cool. Put in a plastic container and cover. Be aware, this recipe is addictive. Enjoy!